We have TWO "A" Teams! We have two “A” Teams. Alex Kemper and Tucks St. Aly and Amanda Caldwell and Allegiant. 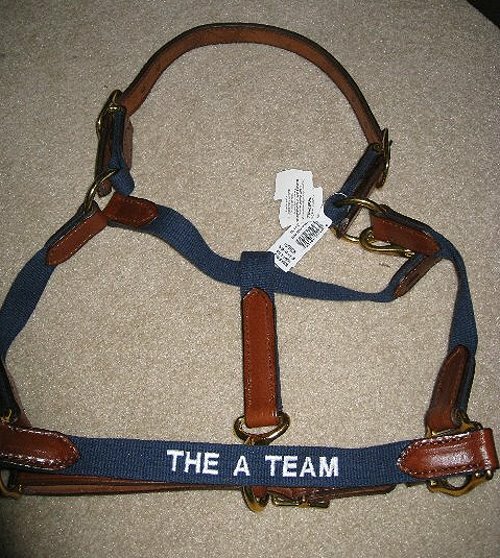 This halter belongs to the second “A” Team. We are very proud of these young women who are not afraid to train big 17 hand Thoroughbreds.